I hope you all had a wonderful holiday!! We did, but it is not over yet. I will be taking some time off (about a week) to see our Indiana family. I will have blog posts scheduled. I (promise) to visit your blogs when I get back :) and catch up on all of your creations!! 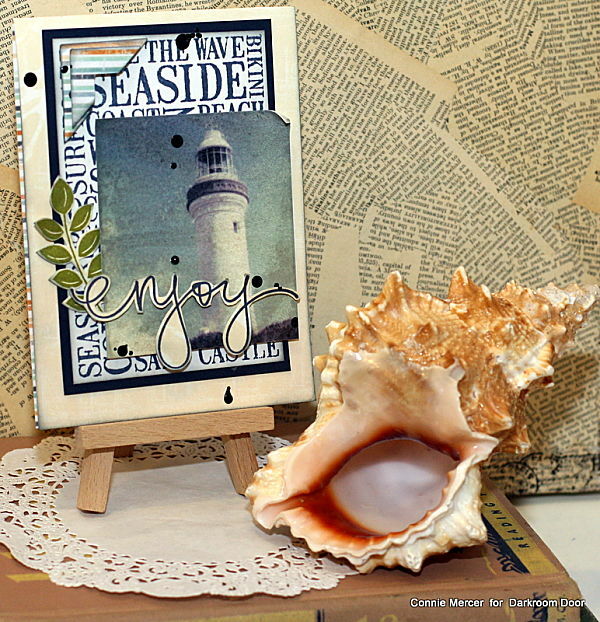 Using the Seaside Word Block stamp, stamp on white cardstock. Trim and mat on dark blue cardstock. Shade around the edges and mount on card front. Pop up Seaside Photochips. Stamp a sentiment, fussy cut and adhere to the front of the Photochip scene. Stamp a leaf and adhere under Photochip scene. Add corners and speckle with texture spray. 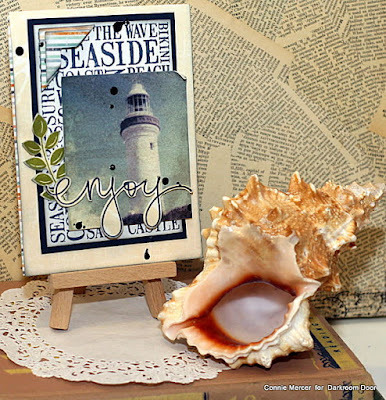 Stamp the Seaside Word Block on cardstock, trim and shade. 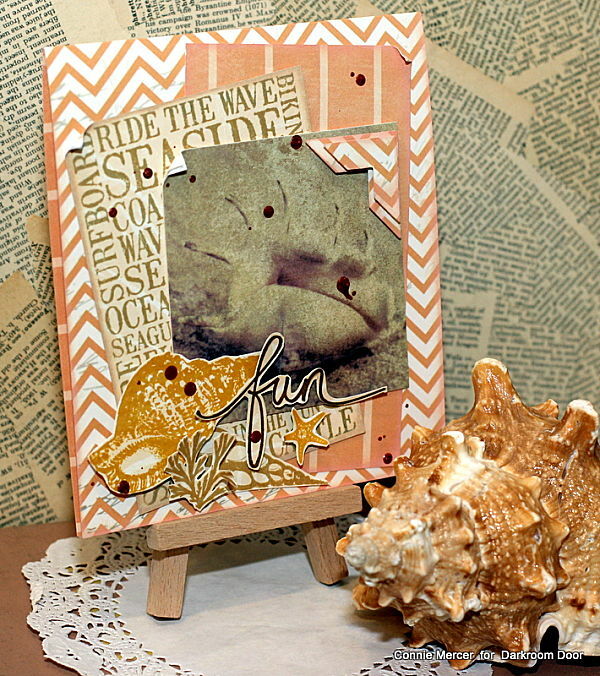 Layer coordinating paper behind the Seaside Word Block and Seaside Photochip scene. Adhere to card front. Add corners to Seaside Photochip scene. Stamp shells on white cardstock, fussy cut them out and shade. Stamp sentiment, fussy cut out and shade. Arrange card cluster and adhere. Add shimmer to shells with shimmer pen. Speckle with irRESISTible/Copper. Love them - very cool. Its still beach weather here. Wowwwwwwww! These are just gorgeous!!!!!!!!!!!!!!!!! Such a pretty stamp and you've used it beautifully on both cards! Happy New Year! Have a great week and New Year. I love the seaside cards.